Michael O’Hanlon is the director of foreign policy research at the centrist Brookings Institution in Washington. A senior fellow with the think tank’s “Center for 21st Century Security and Intelligence,” O’Hanlon is a prolific writer and frequently cited military analyst who often collaborates with counterparts at neoconservative think tanks, including the American Enterprise Institute (AEI). O’Hanlon supported the Iraq war, backed troop escalations in Iraq and Afghanistan, and has supported the advocacy campaigns of pressure groups like the notorious Project for the New American Century. 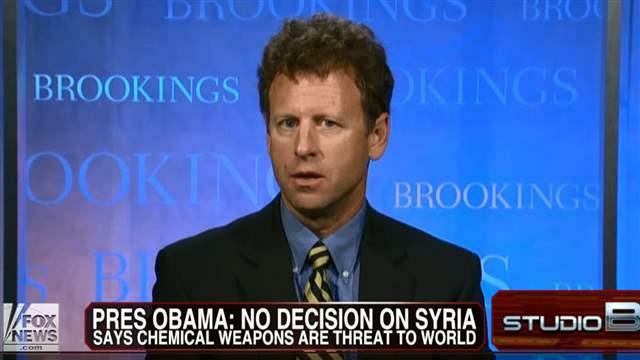 In recent years, O’Hanlon has also pushed for U.S. intervention in Syria’s civil war, writing in a May 2013 USA Today op-ed that President Barack Obama would “have to act” if allegations that Bashar al-Assad’s forces had used chemical weapons were confirmed, adding that he “tend[s] to support” calls to “arm the rebels, establish a no-fly zone,” and “set up areas for internally displaced persons and refugees.” However, he cautioned that such action should not be undertaken in the absence of a fully developed “exit strategy,” offering the resolution of the conflict in Bosnia-Herzegovina—in effect, an eventual “soft partition” of Syria along ethnic and religious lines—as a model. Such a plan, O’Hanlon argued, would “imply a number of U.S. peacekeepers on the ground, perhaps comparable in number to the 20,000 who began the job in Bosnia in 1995.” He said the deployment should only occur if Arab countries and Turkey pledge to provide a majority of the needed troops. Like other liberal interventionists, O’Hanlon insists that “hard power” must be complemented by “soft power,” particularly the strategic employment of foreign aid. In an April 2013Politico piece, O’Hanlon and retired Gen. David Petraeus argued that “America’s ability to protect itself and advance its global interests often depends as much on its ‘softer’ power as it does on our nation’s armed forces.” To that end, the two proposed a robust foreign aid program consisting of economic assistance to Egypt, energy assistance to Pakistan, security aid to the Democratic Republic of the Congo, and “aid for transitional governments in Libya, Yemen and Mali, and perhaps someday Syria,” as well as Afghanistan. Compared to neoconservatives, O’Hanlon has been less hawkish on Iran, ruling out short-term strikes on the country’s nuclear facilities as ineffective and counterproductive. He still tends to favor, however, a robust threat of force as a key component of U.S. strategy with respect to the country’s alleged nuclear weapons program. O’Hanlon was a vociferous booster of “surging” troop levels in both Iraq and Afghanistan in support of controversial counterinsurgency strategies pushed by think tanks like the Center for a New American Security. In support of his hawkish views, O’Hanlon often pointed to his experiences visiting war zones at the invitation of the U.S. military. In November 2009, for instance, shortly after a military-sponsored trip to Afghanistan, O’Hanlon wrote a two-part perspective article for the right-wing Washington Times based on his recent trip to the country. He argued that despite setbacks in the war, there was reason to be optimistic, especially if President Barack Obama approved “all” of Gen. Stanley McChrystal’s recommendations for more troops. In December 2006, O’Hanlon and the Brookings Institution provided a forum for Kagan to present his Iraq troop “surge” ideas, which Kagan had developed as part of an AEI-led study group which many observers regarded as a transparent attempt to fend off the conclusions of the James Baker-led Iraq Study Group (ISG), an independent panel tasked by the administration to come up with alternative strategies for solving the debacle in Iraq. Among the ISG’s conclusions, which were contained in a final report released in late 2006, were shifting more U.S. troops to training efforts and approaching Syria and Iran as part of a regional peace effort. In contrast, the Kagan-AEI plan, entitled “Choosing Victory: A Plan for Success in Iraq,” eschewed negotiations with Iraq’s neighbors, arguing that only by substantially increasing U.S. troop strength in Iraq would it be possible to avoid a defeat that could lead to “regional conflict, humanitarian catastrophe, and increased global terrorism.” It proposed a “surge of seven army brigades and Marine regiments to support clear-and-hold operations” beginning in the spring of 2007, which would be aimed at securing “the Iraqi population and contain[ing] the rising violence”; lengthening the tours of ground troops and increasing deployments of National Guard forces; making a “dramatic increase in reconstruction aid for Iraq”; and mobilizing military industry “to provide replacement equipment” for troops. In late March 2003, shortly after the United States invaded Iraq, O’Hanlon contributed his name to an open letter published by the Project for the New American Century (PNAC), a neoconservative advocacy outfit closely associated with AEI that played a major role generating public support for the invasion of Iraq and pushing an expansive “war on terror.” The letter, titled “Second Statement on Post-War Iraq,” departed from earlier PNAC proposals—which had typically pushed unilateral U.S. actions and ignored the need to engage the United Nations—in calling for greater cooperation with U.S. allies and other international actors in stabilizing Iraq. The letter stated, “Building a stable, peaceful, and democratic Iraq is an immense task. It must be a cooperative effort that involves international organizations—UN relief agencies, the World Bank, the International Monetary Fund, and other appropriate bodies—that can contribute the talent and resources necessary for success. It is therefore essential that these organizations be involved in planning now to ensure timely allocation of resources.” Among those contributing their names to the document were a passel of hardline neoconservatives—like Max Boot, Eliot Cohen, Joshua Muravchik, and William Kristol—as well as several foreign policy elites more closely associated with realism and liberal interventionism, including O’Hanlon and Ivo Daalder, also a scholar based at Brookings. Books and studies written or co-written by O’Hanlon includeHealing the Wounded Giant: Maintaining Military Preeminence while Cutting the Defense Budget (Brookings, 2013); Bending History: Barack Obama’s Foreign Policy (Brookings, 2012); The Wounded Giant: America’s Armed Forces in an Age of Austerity (Penguin, 2011); A Skeptic’s Case for Nuclear Disarmament (Brookings, 2010); Toughing It Out in Afghanistan (Brookings, 2010); The Science of War (Princeton, 2009); A War Like No Other (Wiley, 2007); Defense Strategy for the Post-Saddam Era (Brookings, 2005); The Future of Arms Control (Brookings, 2005); Neither Star Wars nor Sanctuary: Constraining the Military Uses of Space (Brookings, 2004); Crisis on the Korean Peninsula (McGraw-Hil,l 2003); Defense Policy Choices for the Bush Administration (Brookings, 2002); Defending America: The Case for National Missile Defense (Brookings, 2001); Technological Change and the Future of Warfare (Brookings, 2000); and Winning Ugly: NATO’s War to Save Kosovo (Brookings, 2000). Brookings Institute Press, The Future of Land Warfare, http://www.brookings.edu/research/books/2015/the-future-of-land-warfare. Michael O’Hanlon, “Bosnia Lends Clue To Syria Strategy,” USA Today, May 3, 2013, available athttp://www.brookings.edu/research/opinions/2013/05/03-bosnia-syria-strategy-ohanlon. Ali Gharib, “How Not to Intervene in Syria,” Open Zion, May 3, 2013, http://www.thedailybeast.com/articles/2013/05/03/how-not-to-intervene-in-syria.html. David Petraeus and Michael O’Hanlon, “Fund — don’t cut — U.S. soft power,” Politico, April 30, 2013,http://dyn.politico.com/printstory.cfm?uuid=6355F1D3-32B0-4AE2-A49E-852FF652E5F1. 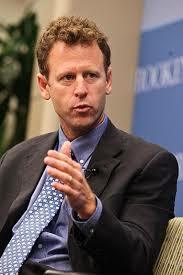 Michael O’Hanlon, “Iran deal: Bush and Obama should share the Nobel,” April 3, 2015,http://www.brookings.edu/blogs/markaz/posts/2015/04/03-ohanlon-iran-nuclear-deal-obama-bush-should-share-nobel-peace-prize. Michael O’Hanlon and Bruce Riedel, “Preventing a nuclear Iran,” Washington Post, March 23, 2012,http://articles.washingtonpost.com/2012-03-23/opinions/35447371_1_nuclear-facilities-nuclear-program-natanz. Michael O’Hanlon, “Vision for Victory in Afghanistan – Part II,” Washington Times, November 19, 2009. Michael O’Hanlon, “The United States Should Engage More Afghan Actors,” Politico, May 19, 2010. Michael Flynn, “The Surge of Ideas,” Right Web, June 16, 2010. Frederick Kagan and Michael O’Hanlon, “The Case for Larger Ground Forces,” The Stanley Foundation, April 2007. Gareth Porter, “The Coming Push for More Troops—for more and Bigger Iraqs,” The Huntington Post, April 18, 2007. “Choosing Victory: A Plan for Success in Iraq,” Brookings Institution event, December 21, 2006. “Second Statement on Post-War Iraq,” Project for the New American Century, March 28, 2003. Michael O’Hanlon, “A Defense We Just Don’t Need (Yet),” New York Times, May 17, 2007.